Please note all Mississauga courses have moved locations to Vaughan! Like our Facebook Page to keep up to date!! Already a rider? Are your skills beyond the basics and you desire to take your riding to the next level? The one-day Total Control Intermediate Riding Clinic is the ideal class for you. In the IRC you will learn the critical information and skills to make you better, more knowledgeable and a safer rider. 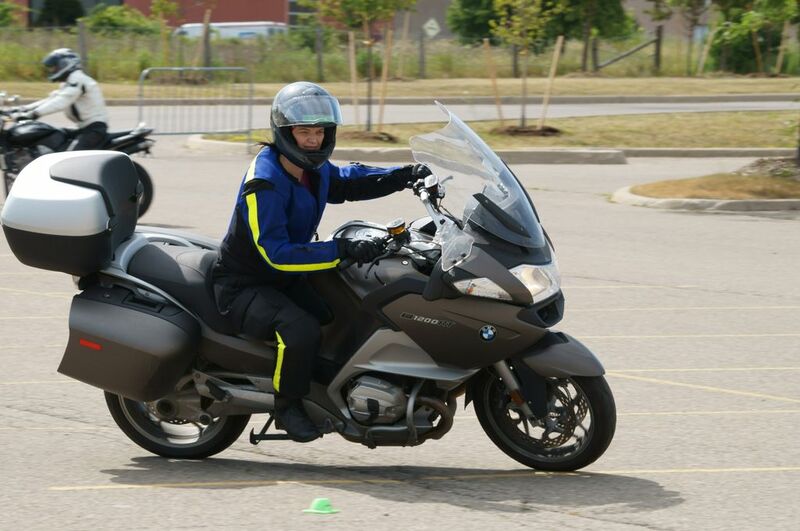 This important next step in rider training will focus on better control of your motorcycle including: maximum braking, swerving and cornering skills. These key elements will provide considerable skill improvements and really boost your confidence out on the road. Our dynamic classroom sections include: maximizing traction management, how to choose proper lines through the turns as well as the psychological aspects of motorcycling like overcoming fear, keeping your concentration and having the right attitude. This fun and exciting class will put a smile on your face and give you a whole new perspective for your next ride. For a class scheduled near you check out our schedule here. Prerequisites: Valid motorcycle license, good condition-street legal, registered, and insured motorcycle. Protective riding gear is required. All courses are held at the The Sports Village, 2600 Rutherford Rd, Vaughan ON L4K 5R1. Or at Classy Chassis, 1399 8th Line, Lakefield, ON K0L 2H0. Sign up for our Intermediate Riding Clinic Today!